"I Was Mayawati's Bodyguard For 18 years, She Was Behen-ji The Great"
At a press conference two weeks ago, Akhilesh Yadav and Mayawati, seated behind a row of bouquets, said the past was in the past - and what they are committed to now is a historic alliance that delivers politically fruitful territory. Mayawati, hardly an exemplar of forgive-and-forget, told reporters that the assault on her at a guest house in 1995 by workers from Akhilesh Yadav's Samajwadi Party, a notable low in Indian politics, was also toast as far as she is concerned. In the archives of the complicated history between Mayawati and Akhilesh Yadav and his father Mulayam Singh Yadav, however, is an anecdote not shared. In 2002, Mayawati was seated in the business class section of a flight to Delhi. Enter Akhilesh Yadav, then 29 years old, who had just won his first election as an MP, and his wife Dimple Yadav, who courteously namasted the Chief Minister. Mayawati, described by critics as arrogant, didn't recognize her and therefore, there was no response. Her security officer of 18 years, Padam Singh, described what followed. "When we deplaned in Delhi and were walking on the tarmac, Behen-ji quizzed me about the young couple. I was aware of the 1995 guest house incident when she was attacked by Samajwadi Party workers, so I said casually that they were Mulayam Singh-ji's son and daughter-in-law Akhilesh and Dimple Yadav. She was angry and scolded, "Why didn't you tell me? You could have told me quietly? His son and bahu (daughter-in-law) greeted me, did namaskar, and I would have greeted them appropriately too! You don't even tell me these things! What must that boy think of me? What must his wife think? This is not right!" Padam Singh then encountered the other side. "After seeing off Behen-ji, I returned to fetch my luggage. Akhilesh-ji was also waiting to collect his bags. I had known him from my days of being deployed with his father. He said to me, 'Padam Singh-ji, if Behen-ji and we join hands, then we can together rule this country. The irony is that despite being so powerful, we are both out of power.'" 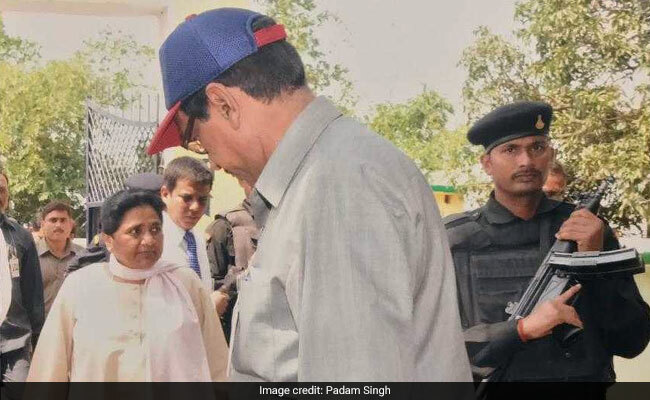 Padam Singh was privy to another close encounter a year later on another flight - Mayawati was headed to Delhi again, and this time, to her bodyguards horror, the seat right next to her was reserved for arch rival Mulayam Singh. "We had to implore someone to swap seats," says Padam Singh, "I spoke to a Samajwadi Party leader and he convinced Neta-ji to board first. I then escorted Behen-ji to her seat across the aisle. Mulayam Singh-ji read a newspaper to avoid making eye contact. They both didn't look each other at all. All of us were watching them. When the plane touched down in Delhi, Mulayam Singh-ji and Behen-ji stood up and came face-to-face in the aisle. Neta-ji (Mulayam Singh) immediately folded his hands and said, 'Namaste Behen-ji!' I really liked the gesture. He also urged, 'Behen-ji please deplane first.' But she said, 'No, no! Your seat is ahead of ours, so you go first.'" Padam Singh claims Mulayam Singh, in a huge show of respect, declared, "Behen-ji, you are my sister, you will go first, you are my elder." Mayawati, often inscrutable, is considered one of the country's most unpredictable politicians. In 2003, Padam Singh says, when the BJP offered her an alliance for the national election that was around the corner, she rejected it because she was told she would get just 20 of the 80 Lok Sabha seats in UP "Will we play marbles with 20 seats?!" is how Mayawati furiously reacted, her bodyguard says. 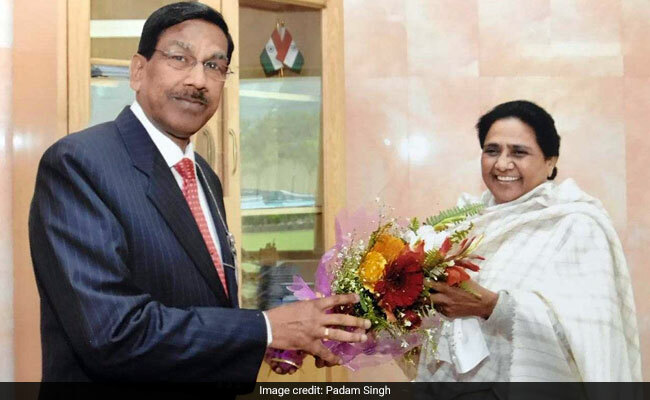 Padam Singh is 69; he last worked with Mayawati more than five years ago. When he was an officer with the UP police's intelligence wing, he was assigned to her on June 3, 1995, as her Personal Security Officer (PSO). 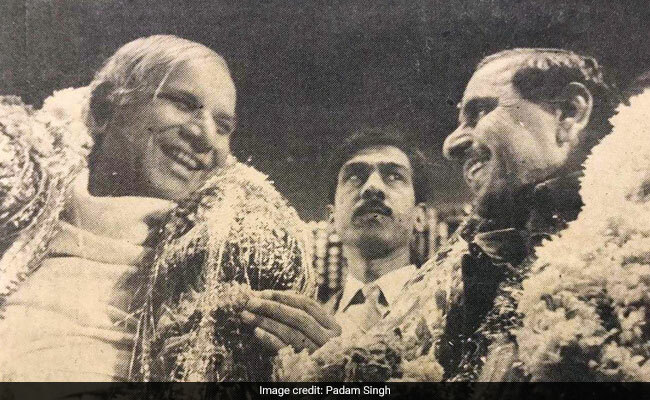 By that time, he had already worked with four other Chief Ministers including Mulayam Singh Yadav. 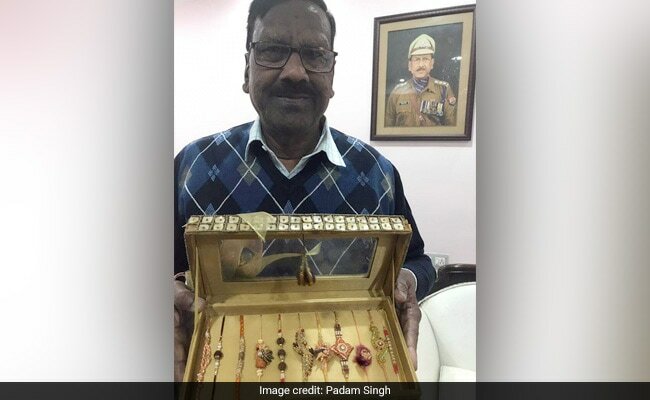 Padam Singh is a Jatav Dalit, the same caste that Mayawati belongs to. Infamously, he was once caught on camera wiping dust off Mayawati's sandals. Padam Singh defends his actions by saying that he was merely trying to protect his boss from slipping and falling. "She had muddied her sandals in the rain and could have slipped while climbing the steps of the helicopter. She was stopping me from doing so because she knew the media would make an issue out of it. But I didn't listen to her." When asked to summarize his tenure with her, he says it was an adventure because she was "Behen-ji the great! ".